Regardless of your opinion of the 3 Day Refresh (or of my review), one message was resoundingly clear: “Try the 21 Day Fix.” Across the board, people expressed that the 21 Day Fix is a better product – particularly for someone like me, who wanted a nutritional reset but couldn’t handle the low-calorie, crash-diet feel of the 3 Day Refresh. And the concept makes sense. You’ve probably heard that following a new practice for 21 consecutive days increases the likelihood of it becoming a long-term habit. Now, I’ve been quite open about my dislike for Shakeology. Forget the nutritional profile – I just hate the way it tastes. Considering the fact that I “barely survived” 3 days of it, using it for 21 days was out of the question. And while Vic had a more positive review of Shakeology, his travel & work schedule would make it nearly impossible to stick to a structured diet plan for 3 weeks. Plus he already has a very good diet. A reset would be wasted on him. So we decided to recruit another guinea pig, and our friend Stacy was up for the challenge. A little background: in 2016, Stacy lost 50 pounds on a ketogenic diet. She’d been maintaining her weight loss for 6-7 months by cutting out sugar & dairy, sticking to a 1500-2000 calorie/day diet, and marathon training. 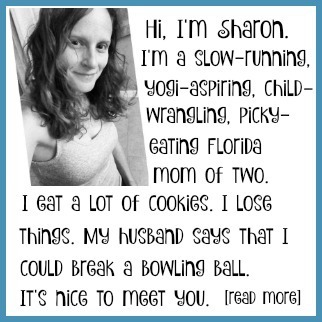 She’d never tried any Beachbody products or programs, and (like us) she was eager to see what all the fuss was about. Vic and I purchased the 21 Day Fix for her (we bought it online and paid full retail price) and had it shipped it directly to her house. Ordering the 21 Day Fix was a pain in the a**. No, really. After I finally got the item in the cart, I had to decline at least half a dozen different optional upgrades. With each up-sale that I declined, (an additional workout video, DVD scratch protection, extra containers, etc) the warnings became more dire. 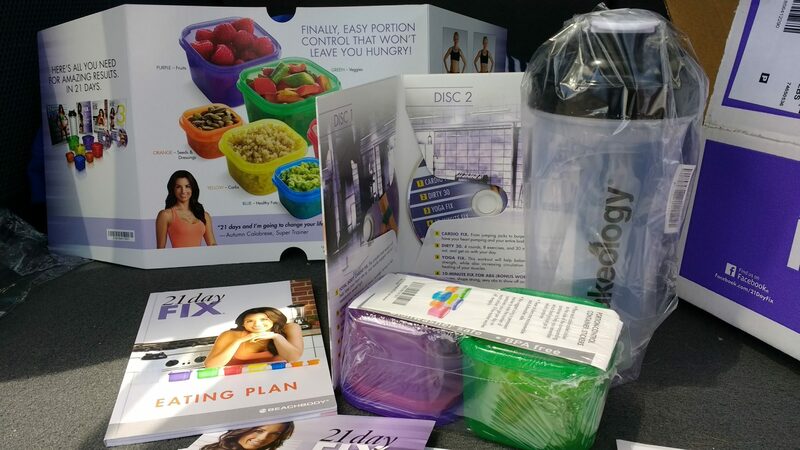 Instead of just choosing “no,” I had to select “no, I don’t want faster results” or “no, I don’t want to get better results.” After finally getting past all the up-sell screens, the 21 Day Fix set me back $77.53 including shipping and tax. Okay, But What Is the 21 Day Fix? I don’t know exactly what I was expecting. Some Shakeology packets? Vitamins? Pixie dust? Certainly more than food containers, a shaker cup, and some DVDs. Now, obviously I didn’t read the product description very well, because the box contained exactly what Beachbody.com said it would. But in my defense – well, it’s a little hard to figure out what you’re actually purchasing. Maybe it’s just me, but I scrolled past this image 5 or 6 times while searching for an actual list of package contents. And that was TODAY. I already know what’s in the package. Still no clear list of product contents. Is it just me, or is this kind of weird? Same exact product, but here I can easily see exactly what I’m purchasing. I mean, I get it. The flashy stuff gets you excited. It builds urgency. Makes you feel like you need this product in your life. But let’s be blunt. Had I known exactly what would be in the box, I never would’ve spent over $70 for this. But I digress. Let’s move on to the actual product review. Like me, Stacy was underwhelmed by the contents (or lack thereof) in the box – especially since she’d previously purchased an almost identical set of portion control containers from Walmart for under $10. On the 21 Day Fix workout DVDs: My biggest surprise was that the workouts are actually really good. Short but effective. You don’t have to use the Beachbody workouts – you can substitute with the workout of your choice. But it’s nice to have a plan and schedule. On the amount of food: At first I thought that the portions were too small and was worried that I wasn’t going to have enough food. But this was definitely psychological. I actually had more than enough food. Most days I had some left over. 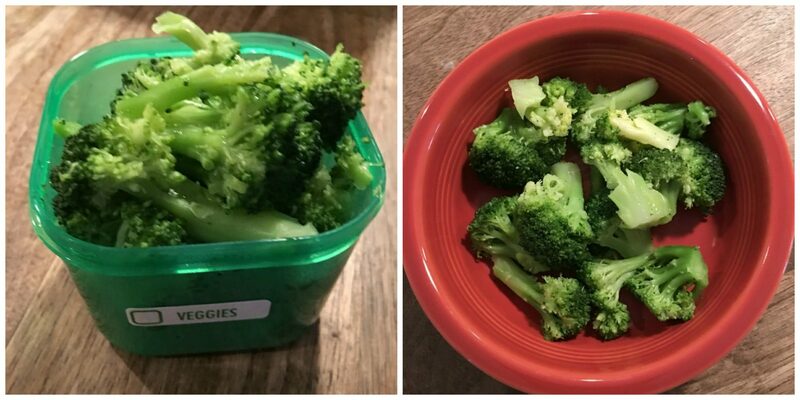 At first glance, the containers seem so small, but once you put the food in a bowl you can actually see it’s a legit amount! On a typical day: First of all, coffee is unlimited, and milk & stevia don’t count toward your daily food intake. Breakfast: 3/4 cup of Greek yogurt (1 red protein container out of 4 for the day) and 1/2 cup of fruit (fruit container is actually 1 cup but I like to break it up). Plus coffee with 3 tbs low fat milk and stevia. Lunch: Turkey burger (1 protein), 1/2 container of fruit, and 1 veggie. Plus salsa on the side counted as a dressing. Dinner: I saved up two carb containers, 1 fruit container, and 1 protein, and I was able to have pasta with red sauce (sugar-free) and two meatballs. Snack: 12 almonds – 1 container of healthy fat (only get 1 of these a day). Workout: I did the 30 Min Total Body Cardio with the whole family – even the dogs. It was chaos, but honestly it’s a really good workout. I was pleasantly surprised by how hard it was. I thought it would be lame but it wasn’t at all! 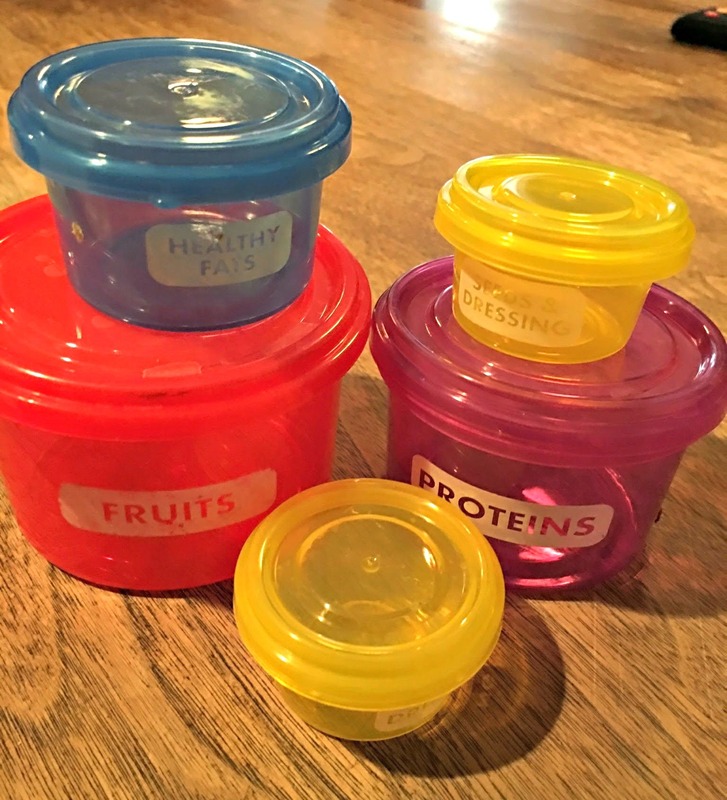 On the 21 Day Fix containers: The containers are a pain. They were hard to use at first, and it was tricky getting the portions right. I wish the actual portion sizes were printed on the containers. Plus it would be nice to have multiples so that you aren’t constantly cleaning them. Ultimately you need to learn how to portion your food without containers. And if you don’t plan & prep, this whole thing is really, really hard. 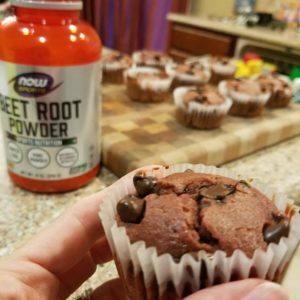 Final thoughts: Overall the 21 Day Fix is nothing new or revolutionary. It works because you’re managing your portions, eating clean, and increasing physical activity. The price is bogus – most of this is available for free. But people need to be told what to do and how to do it. 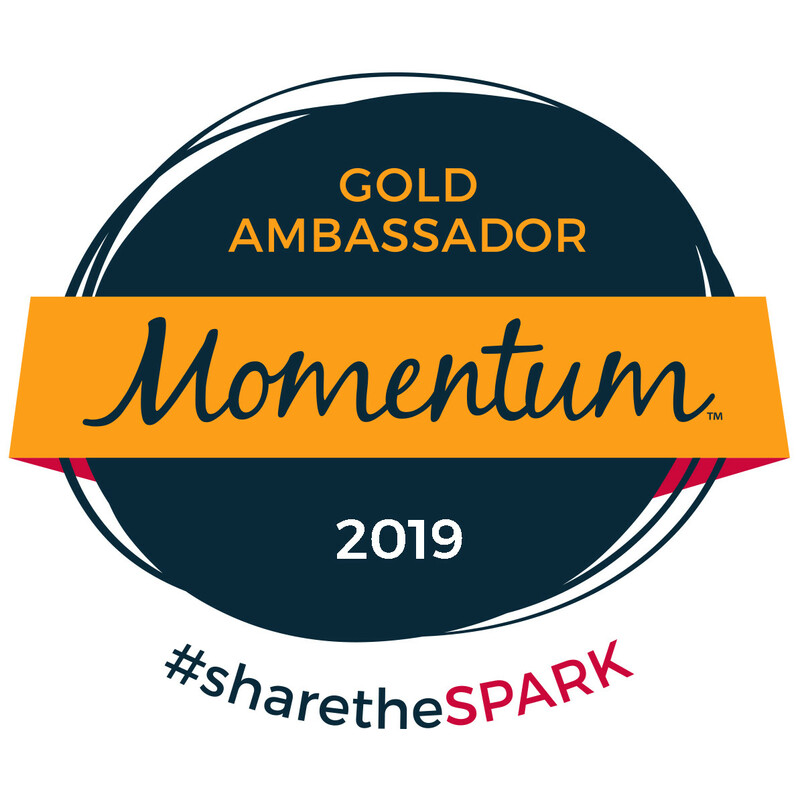 I think moving on to something like Weight Watcher’s point system is more realistic for long term success. 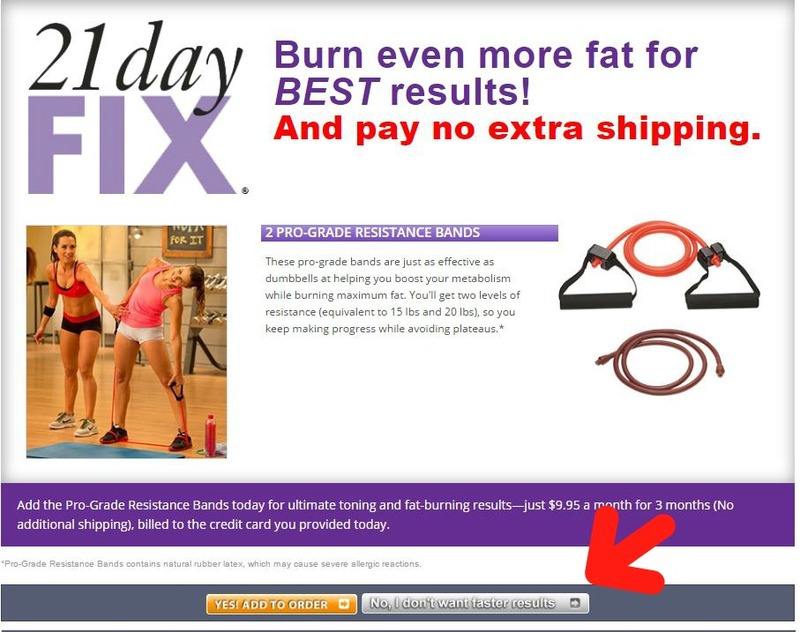 I think I can sum up the 21 Day Fix like this: The program is legit, but the price is bogus. 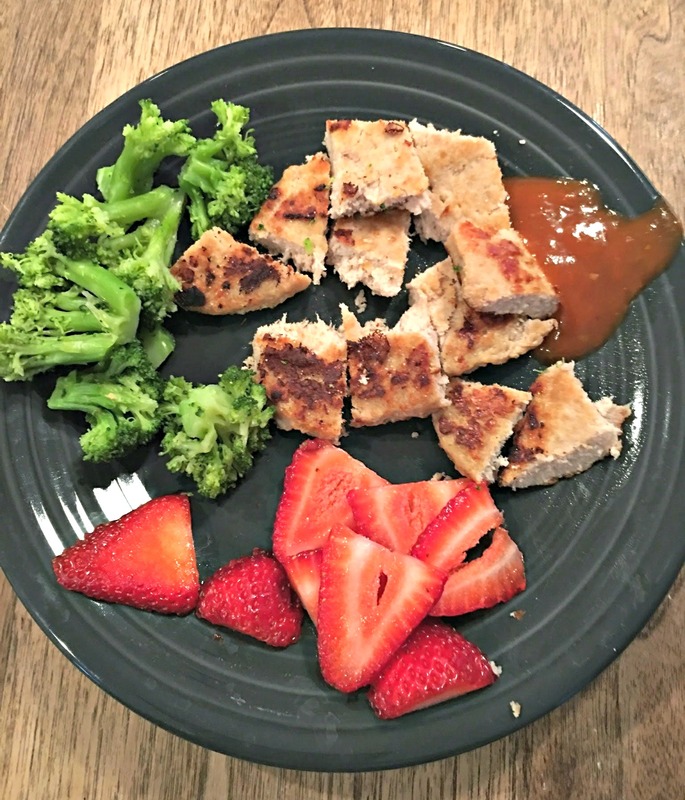 The premise is simple & sound: portion control + healthy food choices + 30 minute workouts. It’s good stuff. But it’s also stuff that you can find for free. Google “free meal plans” and look at all the resources that pop up. I did a quick search and found meal plans, recipes, printables, calculators, and apps – all completely free. The 21 Day Fix, on the other hand, costs $77. Is it worth it? Well, that depends. Like Stacy said, “people need to be told what to do and how to do it.” That’s why programs like Weight Watchers are so successful – people are willing to spend money for step-by-step diet instructions. And look – losing weight is hard under any circumstances. 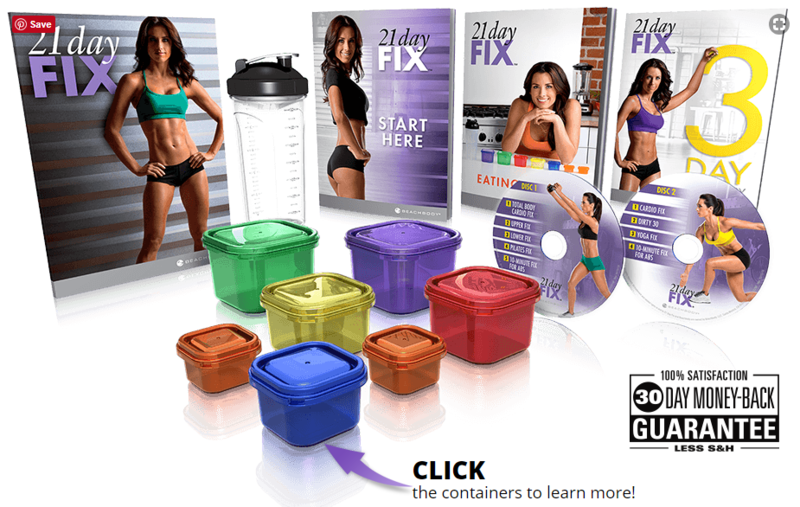 If you need a set program or a coach or workout DVDs to get your diet on track, then the 21 Day Fix may be well worth the investment. BUT – it’s not the only choice. Remember, you don’t get any Shakeology with the 21 Day Fix. You’re paying for the colored containers, a shaker bottle, and access to meal plans & workouts. And not everyone has $77 to spend on a meal plan. I don’t know about you, but that’s a week’s worth of groceries for my family of four. I would have a hard time justifying the expense for a program that, with a few hours of time & effort, I could find for free. What about you? Am I missing something? Let me know your thoughts in the comments. 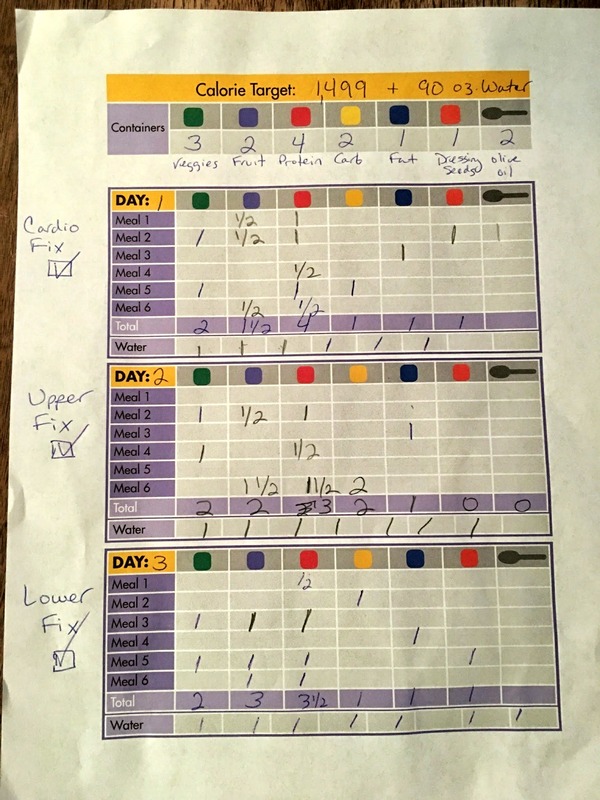 I recently tried the 21 day fix and wrote about my experiences as well. 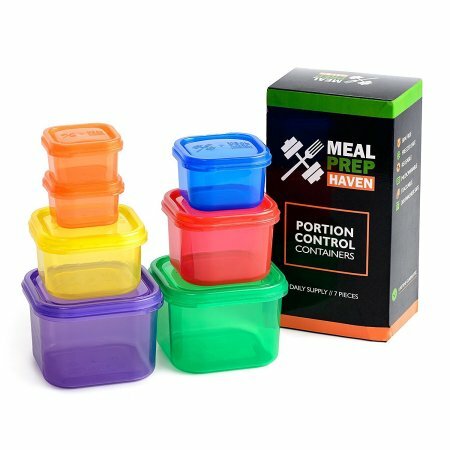 The portion controlled containers were key for me and really helped me to realize I was eating way more than I thought I was. I also found the tracking sheets really helpful. Most of the info I needed was available on pinterest for free.